New York Fashion Week is upon us so, naturally, we're loving the stylish looks popping up on Instagram. Whether you're on the pulse of the new trends or just like a pretty picture, we know you'll love these Wisconsin photographers! Follow us at @wisconsinbride for more wedding and bridal inspiration, and don't forget to use #wisconsinbride for a chance to be chosen next week. Our Instagram favs this week show off the grander side of weddings for those with a sophisticated style. Our favorite touches: banquet tables shimmering with champagne glasses and golden tableware mixed with sweet "Mr and Mrs" signs tied to antique wooden chairs. These fresh pastel hues caught our eye this week on Instagram and we had to share! No matter the season, pale blues, pinks and yellows always bring an airy joy to wedding decor. Add these delicate tones into your dress, tableware and florals for a pop of color. We aren't the only ones who think warm ruby reds are a beautiful compliment to bright white winter weddings. A new year comes with new perspectives and we're all about these fresh takes on romance, be it classic or modern. 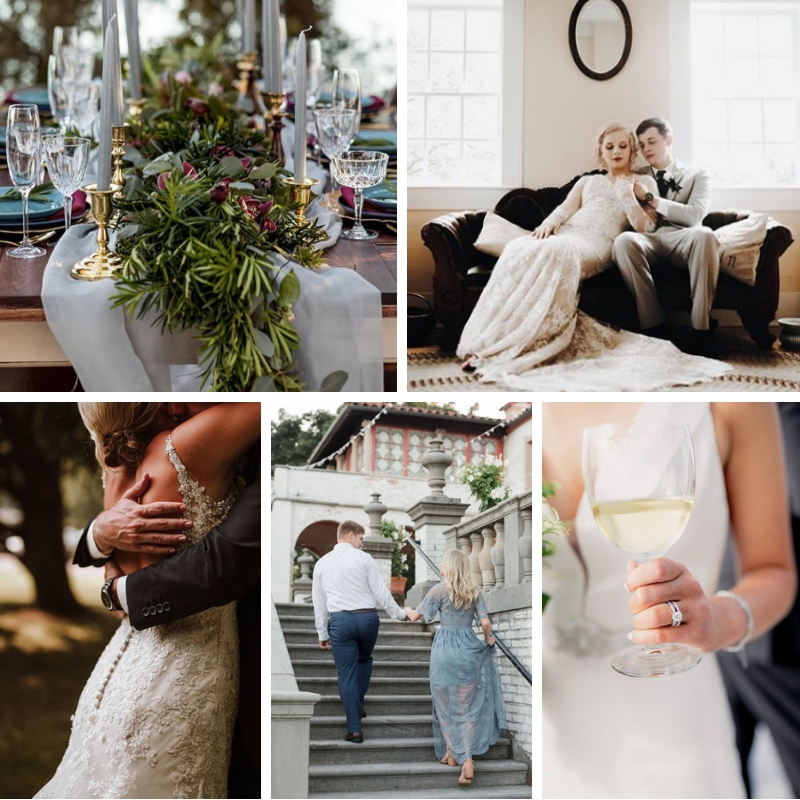 Instagram always inspires us with couples in love and perfect little details from every celebration - scroll through our favorite photos of the week!